So everyone looks back and regrets what they wore right? I don't think I'm alone in this. I dressed like Marilyn Manson and even thought it would be a good idea to get rid of my eyebrows and draw them back on in a single, pitch black line. Classy. Now being a Goth came along with it's downfalls. Constant name calling, bullying and ridicule seem to be something that come in hand with being 'different' but it didn't phase me and to be fair, to this day I don't regret my choice to be a bit different! 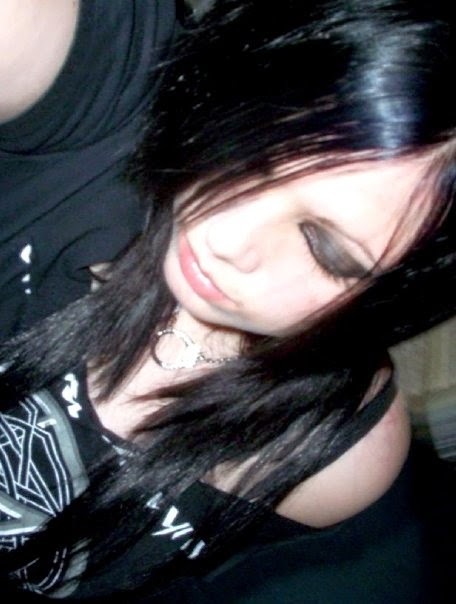 I was obsessed with music and my life was all about heavy metal and black eyeliner. I had an amazing group of friends and I loved going to Camden high street on the weekends when it used to be full of alternative fashion shops. I can't really pin point when I 'got into' more alternative clothing as I grew up on Guns 'N' Roses, Deep Purple and Motley Crue, so I suppose it was always there. 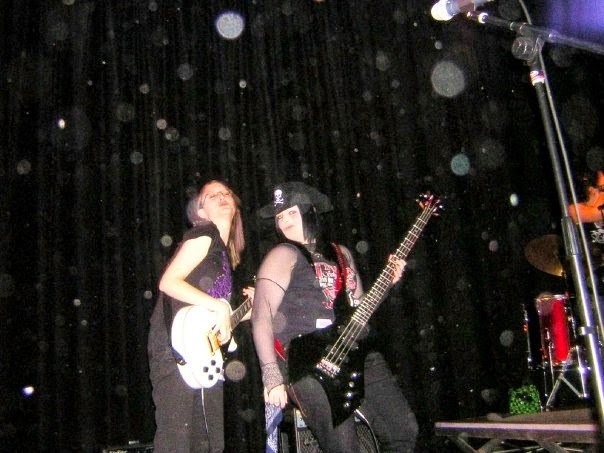 I spent my life in band shirts and black, as I said before it's something that actually hasn't changed too much! I also started experimenting with my hair, don't get me wrong it was always at least 80% dyed jet black but I started adding colours such as pink, red and blue. Something I still love to do today! When I was around 17 I got involved in an all girl band called 'Organised Confusion' we played gigs at various places across Surrey and even recorded a few songs. We'd practise every Sunday in our drummers shed and probably annoyed the neighbours more than they could ever dream! When I was 18, I started going to festivals. 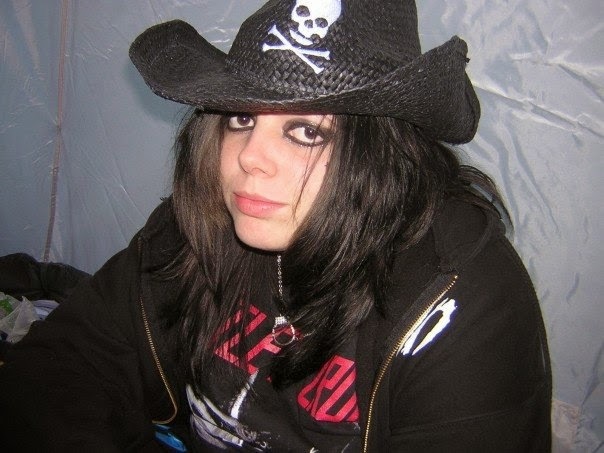 Download and Hard Rock Hell were my festivals of choice even though I hate, hate, hate camping. After my first year and learning that long hair and festivals didn't mix I started wearing dread extensions again. I say again as I used to rock a pair of red and black dread falls when I was 15 and then I opened my own dread extensions company called 'Cherry Bomb Dreads'. Overall, I bloody loved my Goth years. No amount of teasing and name calling in school could ever have made me doubt myself. I was being me and I don't regret anything (well except the drawn on eyebrows maybe). 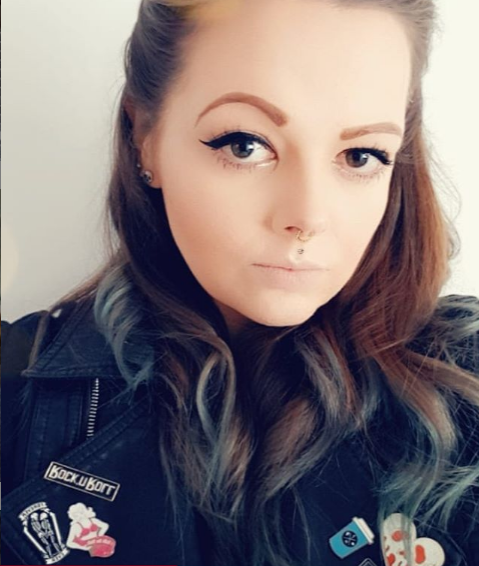 While I don't think I could pull it off as much any more, I know deep down my inner Goth still lives on and sometimes I just can't let it go! If you would like to feature in the'I was a teenage.....' series, please get in contact! 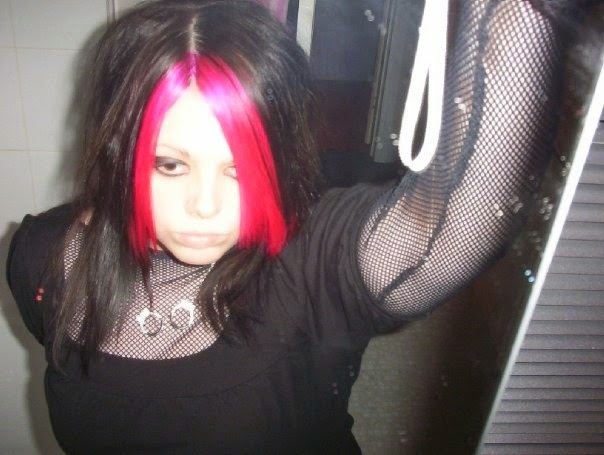 I went through the emo stage when i was about 11! I had a friend who was a dedicated emo. Listening to MCR and my awful attempt with the black eyeliner was such a fun time for me! Ah, you look so different! I went through a familiar stage actually but like Jade above, it was more the emo/scene kid look! God, I totally cringe now!